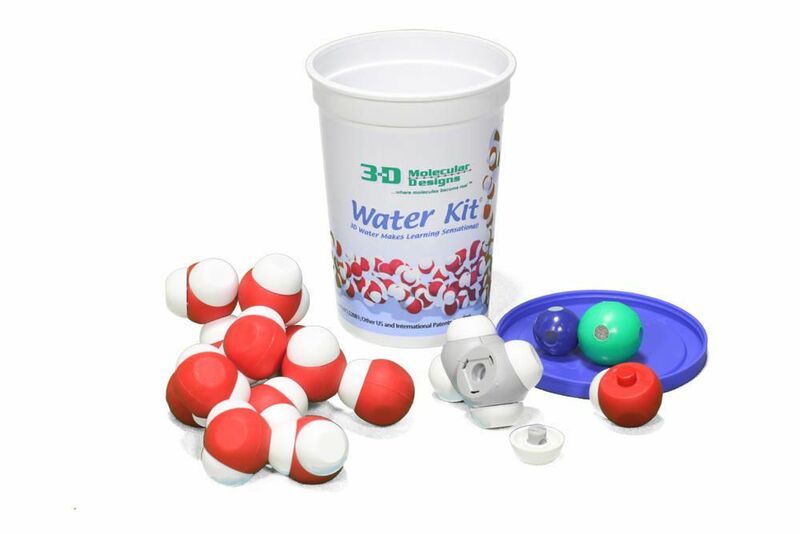 A fun tool to help teach water concepts. 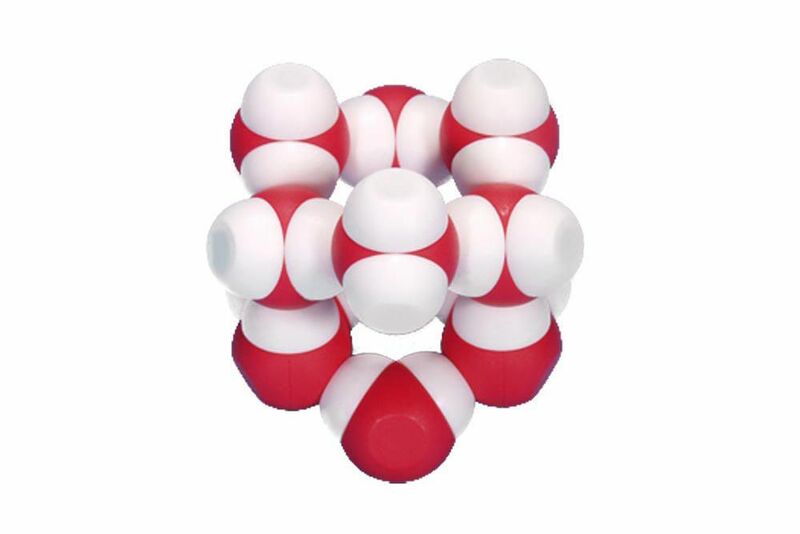 Your students will use these magnetic water molecules to discover hydrogen bonding, make ice, dissolve salt, evaporate water, explore transpiration, create ethanol, and much more. Water Kits© enhance learning through hand-on activity and facilitate more in depth concept conversations. Your students can feel the various strengths of hydrogen, covalent and ionic bonds. They can explore the water cycle – even make ice. They also can show the differences between molecular adhesion, cohesion and capillary action and demonstrate surface tension, evaporation, condensation and solubility. Ordering information: Assembly required. 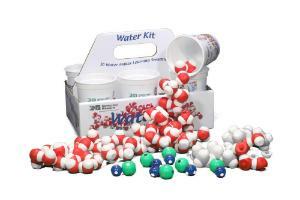 Includes assembly instructions and lesson resources. Caution: WARNING: SMALL MAGNETS- This product contains small magnets. Swallowed magnets can stick together across intestines, causing serious infections and death. Seek immediate medical attention if magnets are swallowed or inhaled. WARNING: CHOKING HAZARD - This product contains small parts and should be kept out of the reach of children under the age of 3, because the parts or the pieces may present a choking hazard to small children. CAUTION: This is a science education product, not a toy. It is not intended for children under 8 years old.